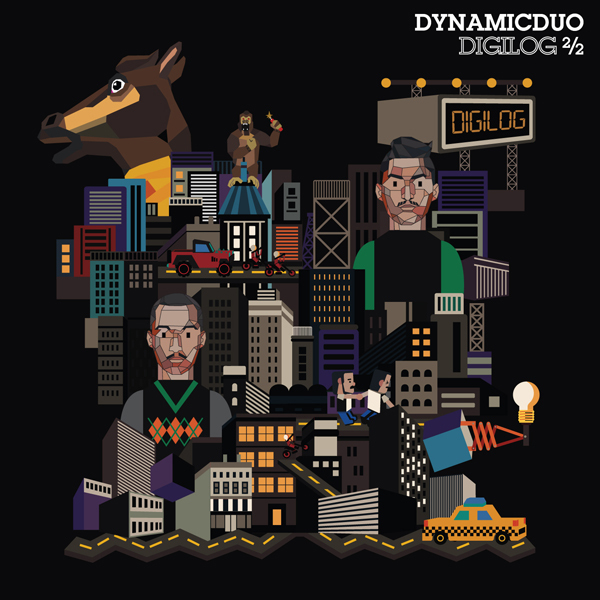 The second part of Dynamic Duo‘s ten-year anniversary and sixth album [DIGILOG 2/2] will be released on January 4th. The upcoming album features top Korean hip-hop producers Philtre (Planet Shiver), Primary, Soulscape, Loptimist, Simo&Moodschula, and Lowdown30, as well artists Simon D, Yankie, UV, Jung-in and Haengju (Rhythm Power). This album can be pre-ordered through HipHopPlaya.com. This entry was posted in Album Release, Videos and tagged Choiza, digilog, Digilog 2/2, Dynamic Duo, Gaeko, Jung-in, jungin, simon d, UV, yabul, Yankie. Bookmark the permalink.